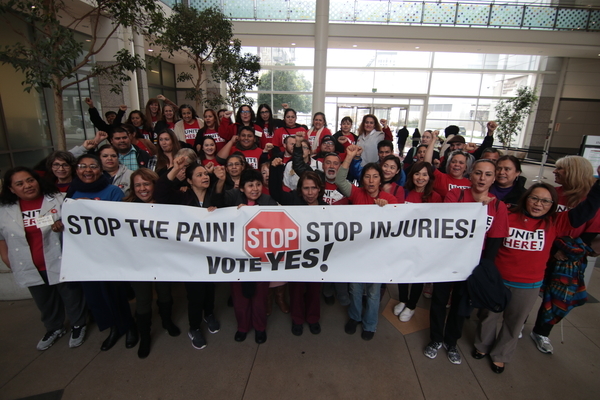 The California government agency responsible for workplace health and safety unanimously adopted on January 18 a specific set of standards intended to reduce the occupational injuries affecting hotel housekeepers. The IUF-affiliated UNITE HERE has driven the push for a specific standard since the union petitioned the Standards Board in 2012. Under the new standard on Hotel Housekeeping Musculoskeletal Injury Prevention, hotels are required to implement measures "to correct or minimize workplace hazards that may cause musculoskeletal injuries to Housekeepers" including "effective tools, equipment, devices, work practices, and administrative controls." "Many times our work is not recognized, and we who do this work are under-appreciated," said Ana Maria Rodriguez, 46, a housekeeper in Anaheim. "With this vote, our work has more importance and we have a way to protect ourselves."